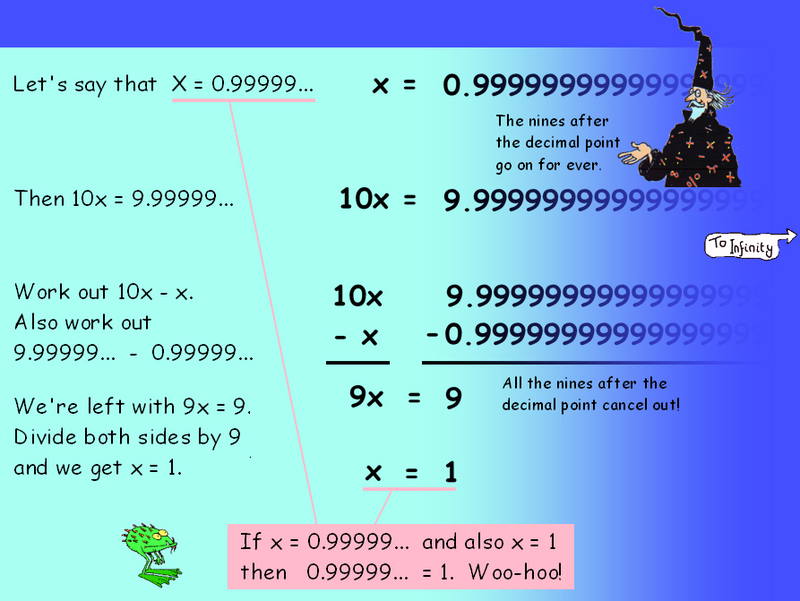 MURDEROUS MATHS: Why does 0.999... = 1? Why does 0.99999... = 1? This is one of the questions that hundreds of people have asked us over the last 20 years, so here's the answer!